GET MY FREE CHAPTER SUMMARIES! Virtually everyone prepares for organic chemistry before the class begins. But few do so the right way. Prepare for O-Chem the right way with the Orgo Made Simple Prep Course. You no longer need a PhD to read your chemistry textbook. The OMS chapter summaries break each chapter down into the key topics, reviewing each in a more practical way. Have you ever looked in an answer key only to be more confused? No more. Our practice problems have detailed, step-by-step instruction on obtaining the right answer. The best NMR resource on the web for Intro to Organic Chemistry students. The NMR Practice Center contains our method for consistently solving NMR spectra along with 30+ problems, broken down by functional group. Naming is taught in ~75% of organic chemistry chapters with each chapter adding a new element to naming organic compounds. Our naming guide gives the important info for naming organic compounds in an easy-to-read, 1-page graphic. If you are pressed for time or have a busy schedule, using Orgo Made Simple will be one of the best ways to getting down the organic chemistry concepts that you need for college level organic chemistry and MCAT preparation. Anxiety had left me a pretty good chance of needing to retake Organic Chemistry, but after studying with Orgo Made Simple, I ended up with above a 91% on the final! Orgo Made Simple gave me the tools and confidence I needed to succeed. I’ve found that I often get lost while reading our Orgo textbook, as it can be pretty overwhelming. To help, I usually read the Orgo Made Simple section before I even open the corresponding textbook chapter. Since [the site] does an awesome job of clearly emphasizing and explaining the key points, I then go into the textbook reading already aware of the major concepts, and I’ve found that I end up understanding the material a whole lot better as a result. One of the keys to learning is seeing the material in a perspective that is easy to digest. Orgo Made Simple offered this for me. I would do countless practice problems provided from my textbook and from my instructor. In the end, I would always return to the site for some great foundation work that would allow for success in the more advance problems. The website is extremely helpful and is written in a way that everyone can learn something from it. Orgo Made Simple breaks down the major concepts of Organic Chemistry so that I was able to walk out of every O-Chem lecture with confidence rather than confusion. Even more Orgo Made Simple is easy to navigate since the order of the chapters tends to correlate with the order of the material being taught in class. Organic Chemistry is complicated enough, but Orgo Made Simple truly does make it possible to master the material. 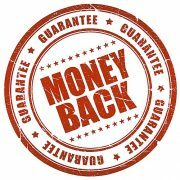 We stand behind all our tools with a money back guarantee. Learn more.